A recent study shows that Olympic athletes enjoy a longer lifespan than average population. But, most importantly, the quality of life is extended; our 'Healthspan'. 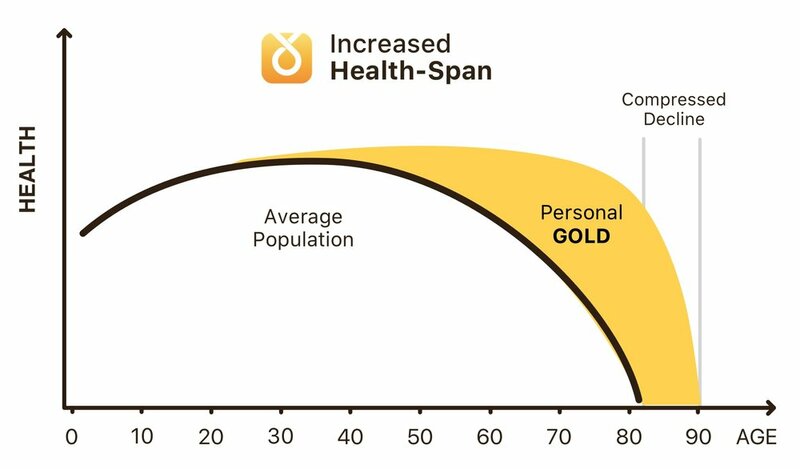 Personal GOLD app brings you increased Healthspan for athletes and non-athletes alike. Early access to our 2020 iOS/Apple Watch launch. Thank you! We will let you know when the app is available.